The world of drug trafficking in Mexico was turned on its head Saturday morning when word spread of the capture of kingpin Joaquin “El Chapo” Guzmán, the leader of the Sinaloa cartel and arguably the most wanted man in the Western Hemisphere. US and Mexican authorities have been unsuccessfully hunting Guzmán for years, and most earnestly since he escaped prison in 2001. 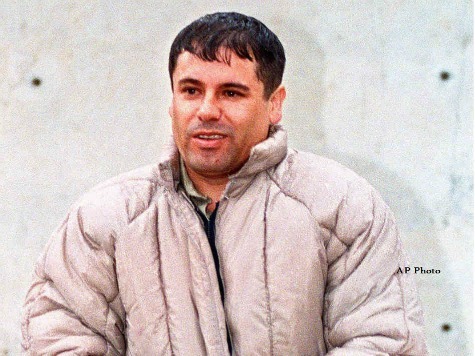 El Chapo’s story is the stuff of legends. He grew up in the backwater Mexican village of La Tuna de Badiraguato, but entered the drug world under the tutelage of his uncle, Pedro Áviles–the “pioneer” of Mexican drug trafficking. Young Guzmán showed a penchant for the business, and cut his management teeth under one of the most notorious drug lords in Mexico’s history: Miguel Ángel Félix Gallardo, known as the “godfather” of trafficking in Mexico and one of the leaders of the Guadalajara cartel. Guzmán and his colleagues inherited control of a major drug corridor in 1987 when Félix Gallardo divided up his narco empire. Since that time, Guzmán and his partner Ismael “El Mayo” Zambada Garcia–who is still at large–has grown his empire into the largest and most powerful transnational criminal organization in Mexico. The Sinaloa Federation, as the cartel is known, smuggles marijuana, heroin, methamphetamine, and cocaine in enormous volumes into the United States through corridors that stretch from eastern California to central Texas. The cartel is also one of the largest exporters of cocaine to Europe and supplies Australia with 50 percent of its cocaine. However, every drug lord knows either the authorities or the bullets are eventually coming for him. For a man as powerful as Guzmán, it’s unlikely he didn’t have a solid succession plan in place. For now, the role of Federation leader would probably fall to Zambada. Unfortunately for him, Zambada has lost several key players in his division of the organization, including the head of his hit squad just a few days ago. Regardless, the transition needs to be quick and smooth if any escalation of violence is to be avoided. The best way to determine how such a transition is progressing is to keep an eye on contested corridors where the Federation is fighting or losing some influence, like Nuevo Laredo, Guadalajara, and Culiacán. The flow of drugs northbound is probably going to remain stable because these day-to-day operations are not directed from the top. But overall strategy to maintain control of territory is, and any significant increase in violent cartel-on-cartel activity in these areas would indicate Los Zetas or other cartels are making a move. This is a very significant victory for both the Mexican and US governments, especially considering cross-border collaboration has been waning and this was a joint mission between the Mexican military and the United States DEA. Drug war observers will be talking about this arrest for a long time, and it will be a major entry in drug war history. However, the removal of just one man–even a man as powerful and legendary as El Chapo–will do little to stem the flow of illegal drugs into the US and the demand for those drugs that fuels the violence.